It’s important to keep your roof clean. 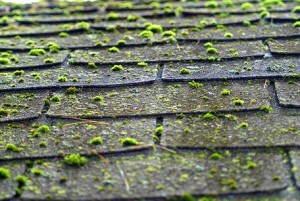 In the UK many roofs are plagued by mould and moss this is due to the damp and adverse weather conditions. Whilst it may not always look like a problem moss can cause significant damage to your roof structure. 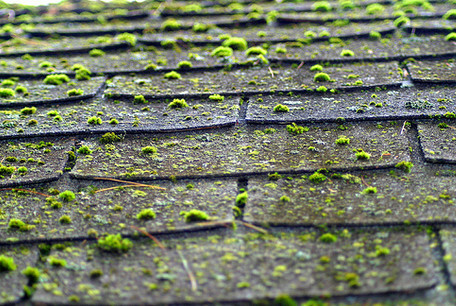 Moss will hold water, and when this freezes and thaws again it can damage your roof tiles. It’s important that you get a specialist out to clean your roof as using the wrong power washer will damage your roof. Tom ‘n’ Team are professionals and are used to getting on roofs, so hire us instead of running the risk of causing injury to yourself. We offer roof our cleaning services throughout Cheshire. There’s no job too big or too small! When you book Tom ‘n’ Team to clean your roof we will bring our pressure cleaning equipment and remove all the dirt, moss and bird’s mess – leaving your roof noticeably clean in minutes. Our pressure washers are specially designed to not cause damage to your roof. We will then apply a fungicidal wash to help discourage moss and mould from growing on your roof as quickly in the future. For concrete tiles that are over 15 years old we recomend a range of primers and protec roof coatings. These will help extend the life of your roof and not only protect it from moss, but water and weather damage for years to come. Once cleaned we will then inspect your roof to see if the moss has caused any significant damage. Depending on the severity of the moss coverage damage can occur. If we find any damage we will consult with you. If you’d like us to do the necessary repairs we will start right away. We’ll also ensure that all guttering is is free of any blockage caused by moss. Once the roof had been inspected and any repairs have been carried out we can apply a protective roof sealer upon your request. All windows, walls, gutters, soffits and fascias are then washed down and put back into place.